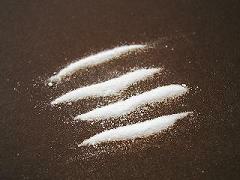 Cocaine symptoms can lead to permanent brain damage, addiction and even death. Each person reacts to this drug differently, but as a general rule there are short-term and long term effects. Short term side effects are the ones that you see immediately. Although they're not usually dangerous, in some cases, they’ve caused serious physical damage and death from seizures, respiratory failure and cardiac arrest. With ongoing use, tolerance develops,(meaning you need more drugs to get the same effect): heart disease, heart attacks, respiratory failure, strokes, seizures and gastrointestinal problems. Other physical symptoms include convulsions, nausea, blurred vision, chest pain fever, muscle spasms and coma. You get hooked on the short-term effects, because you feel ‘great’. The quick high gives a burst of energy and you can work for a longer period of time. These effects are particularly inviting for students during exams and those in high performance jobs. Cocaine is also an appetite suppressant. Users can go without eating for days. Fashion models and celebrities have been known to use it to stay slim and this influences girls to get turned on to it. It's quite common in rehab to hear young women talk about coke as a ‘diet aid’, and I’ve even heard them say, "if I find I get fat when I’m out of here, I’m going right back to using." For these women, being fat is worse than being addiction. It is necessary to treat an eating disorder at the same time as drug treatment and recovery options should be customized for the individual. Follow-up private counseling with a specialist in addiction should always continue after rehab. And if eating disorders were a problem these issues should be addressed before they leave rehab. This is how the addiction kicks in. With continued use you need to use more because you don't get the same high (tolerance). The addict continues to ‘chase the high’. They keep using more and more drugs, seeking the effects that they had the first time, but it doesn’t happen. They never have the original high which hooked them in the first place. The addiction now can lead them to insanity and death. This is highly addictive drug. It is not uncommon that family interventions are necessary for the addict to get help. If you need a consultation or have been in recovery, had a slip or need after-care recoery coaching is the way to go. In the beginning cocaine is a sexual turn on. Subscribe to the free E-zine Powerful Life for self-help tips.